Our Gerkin windows reviews offers genuine homeowner, customer and contractor reviews. These are opinions related to Gerkin windows and their performance numbers, customer service, products and much more. I’m a homeowner here in Lawrence Kansas and have been researching Gerkin windows — there is not much out there on this company, but this is what I’ve found on the windows themselves… Their vinyl is extruded using high impact uPVC with multi-chambers, which seems to be fairly standard for the mid to higher end vinyl windows on the market. They use warm edge spacers (similar in quality to the super spacer – basically it isn’t the aluminum spacer) with duraseal insulated glass, LoE3 high-performance glazing (U .30, SHGC .22) and have a high quality sloped 1 piece sill. Their aluminum frames are reinforced with aluminum (duh, but still), which seems to make for a stronger frame. Good air infiltration #s (.05) and AAMA certified and tested. The one downside that I noticed was the tilt latch, which was plastic and seemed flimsy to me. We had the windows installed in our house 6 months ago and they are great. One of the screens was bent during shipping and their customer service was helpful and we got it sorted out. One thing I liked was that an actual person answered the phone and we never got the run around. More on Gerkin window prices. I am currently researching windows and have narrowed the search to Gerkin 6000 sliders and the Hayfield 201 sliders – plus 2 double hungs from whichever one I choose. They are priced similarly. The AI numbers on the Gerkins are better, but Hayfieds offers a better warranty. Gerkin’s warranty is 10 years on the glass and 5 years on hardware, whereas Hayfield has a 20 year warranty on the glass and a limited lifetime for the hardware. These two windows are comparable and both solid options. I’d be tempted to go with the Hayfield for the better warranty – 10 on the glass and 5 on the hardware is not very long. You should look at both windows in person to see firsthand the hardware and features. I believe the Hayfield produces a single slider, I’m not certain about Milgard. I’ve been getting questions from customers here in Arizona on whether aluminum window frames are a good option in this climate – my take is that thermally-broken aluminum frames would be solid option. Two brands off the top of my head would be Gerkin and Milgard, there should be a distributor around your area. I also know that Don Young carries an aluminum frame, although they are out of Dallas so that may be too far — check with them to see if they have any options for your area. I’m somewhat familiar with Gerkin’s vinyl windows, although I’ve only installed their casements. These are built well and have solid ratings on air infiltration — the biggest downside is their lack of color and glass options. The lead time on orders is also a bit longer than some of the other companies we deal with. The company I do most of my installations for uses Gerkin for their casements and Soft-Lites for their double hungs. Soft-Lite’s double hungs are better priced, at least with the supplier they use, and I think they have some additional options. I have also done several installs on their Rhino Series, their aluminum window. They are well priced and well built and ironically a bit cheaper than the Soft-Lite model. 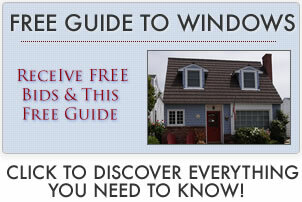 Read additional Soft-Lite windows reviews.